Niue is an island in the South Pacific with a population of about 1,400 people. Originally an independent kingdom, it was briefly a British Protectorate from 1900 to 1901, when it was annexed by New Zealand. Stamps of Niue were issued by New Zealand from 1902 to 1974, when Niueans opted for self-government. During its administration, New Zealand issued four sets of high values for Niue by overprinting its postal-fiscal stamps, and all four sets are scarce and undervalued. The first set (Scott #30-34) is the scarcest. It was issued between 1918 and '23, utilizing the postal-fiscals of 1906-15. The second was a 1931-32 set (Scott #49-52) which was comprised of overprinted postal-fiscals of the 1931-32 issue. 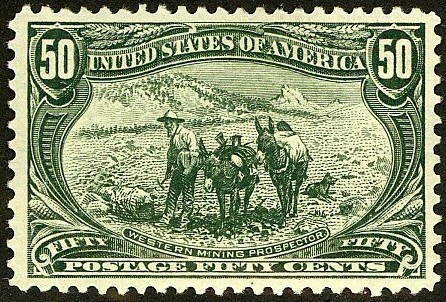 Two 1941-45 sets (Scott # 86-89 and #89A-89D) were issued and these were also overprints of 1931-32 stamps. The three similar-looking sets may be distinguished by differences in watermark and overprint types. Scott '12 prices the unused sets at $341.00,$ 150.00 , $525.00 ($725.- for NH), and $75.25 ($110.- for NH) , respectively, and the quantities issued were 1,200, 4,000, 3,760, and 7,600. While the population of Niue is too low to sustain much of a stamp collecting population, there is significant demand for its stamps among collectors of British Commonwealth in general and New Zealand in particular, because the island still has strong links to that nation. These four sets may have additional appeal to Kiwi collectors because they're basically just overprinted New Zealand stamps. New Zealand is a modern, prosperous nation of about 4.3 million people, with a GDP of $115 billion. Over the last 10 years, annual GDP growth has averaged about 3%. The economy was hurt by the recent global financial crisis, and is beginning to recover. In 2005, the World Bank praised New Zealand as being the most business-friendly nation in the world. The nation has a stamp collecting demographic similar to Great Britain's, and the demand for better material should increase dramatically as population aging accelerates. The percentage of New Zealanders aged 60 and over will rise from 18% in 2009 to 29% in 2050.